Want to be a part of the comic? You can give a one time donation via paypal. If you want to give long term support, head over to patreon. 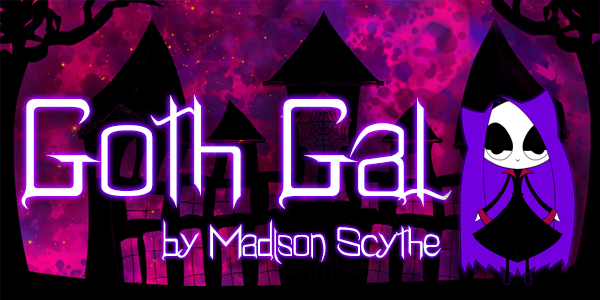 You can set your budget at several reward tiers–and get some exclusive Goth Gal swag for your help. You can also purchase the comics for each quarter in kindle format on amazon. This format is readable on PC, Mac, iOS, Android and any Kindle device. Thanks for reading! Goth on.